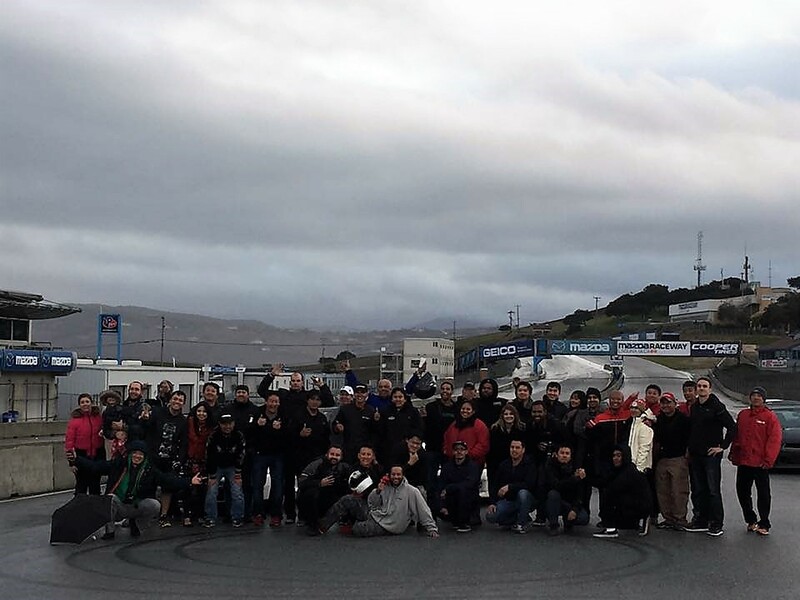 The first R's Day meeting was held at a wet and cold Mazda Raceway Laguna Seca on November 26, 2016. 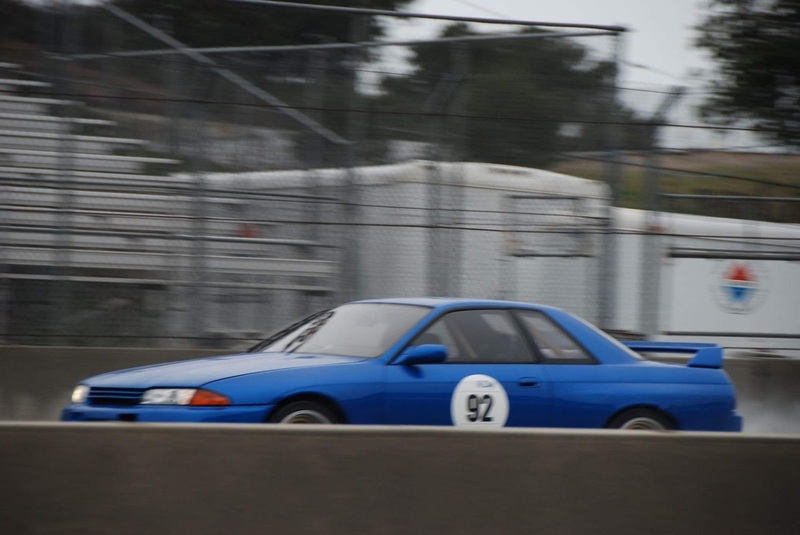 We took a Bayside blue R32 GT-R to the event, along with a black R32. 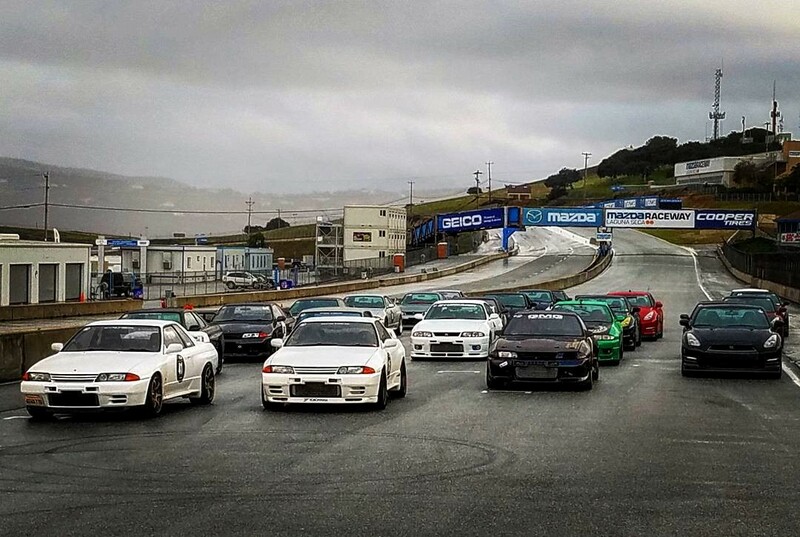 In addition to our two cars, there were about 23 more cars making it a total of approximately 25 GT-R's. 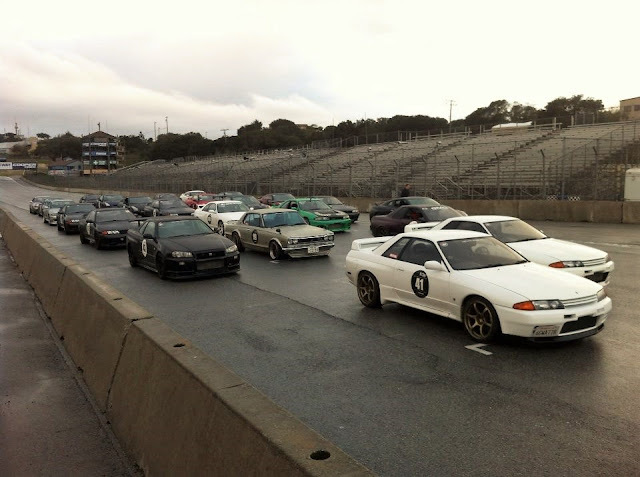 Mostly R32 GT-R, with one R34, several R33, one R32 4 door, and several R35 GT-R. Putting some 101 octane VP unleaded gas in the car. The first session was very wet, and very slick. Many of the owners was the first time on track in a car, or first time at Laguna Seca, first time on track in a GT-R. The rivers flowing across the track made it interesting. Any tip in of the throttle in other than a straight line resulted in big oversteer. Several cars went around. A few cars grazed the walls. Luckily with all wheel drive, no one got stuck. Laguna Seca has some pretty shity neighbors. They complain about the track that has been there since 1957. The neighbors moved in last year, and don't want to hear the noise. So on days like yesterday, the noise limit was 90 dB. This means that lots of cars have to come up with creative ways to stay under that limit. If you Google Laguna Exhaust, you will see some very creative solutions. Since the GT-R are turbocharged, they generally aren't as loud as a normally aspirated car, but they can still get loud, right Jacko, Grant, Aki, etc, etc.... We might have got spoken to as a group once about noise. The rain died down in the middle of the day, so there was at least one somewhat dry session, with just a few small rivers running across the track. 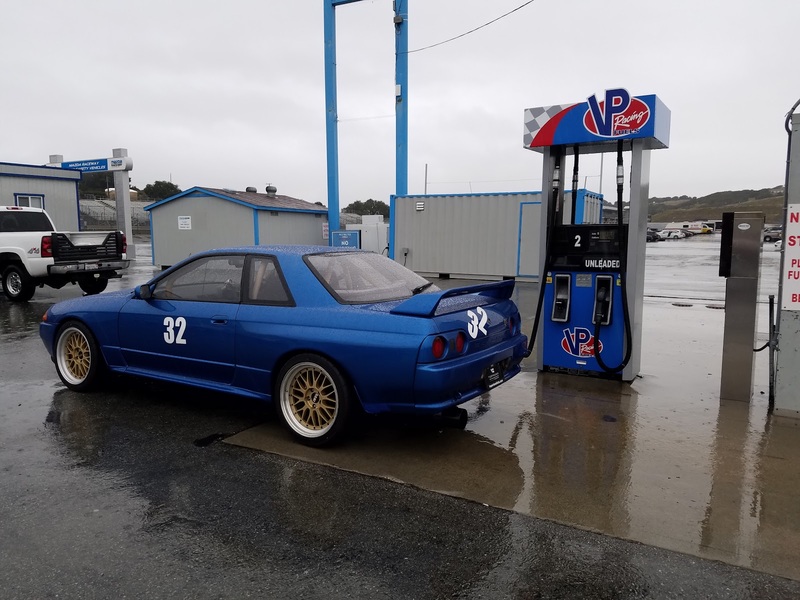 On the dry session, we took out Takeshi's R32, and he had to keep reminding us that he had to drive it home. At the end of the day, there was a raffle for lots of goodies from sponsors. Yokohama tires, Cusco umbrellas, Tomei exhaust, GT-R badges, keychains, and keys from us, and much more. Was a great fun day at a historic track. Looking forward to seeing more GT-R's on track, not hard parked in front of the boba shop.